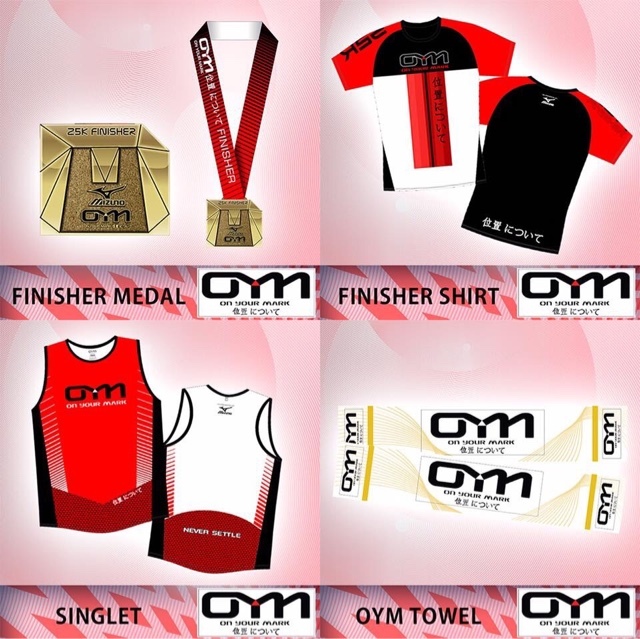 The third and the final leg of the OYM (On Your Mark) is all set! 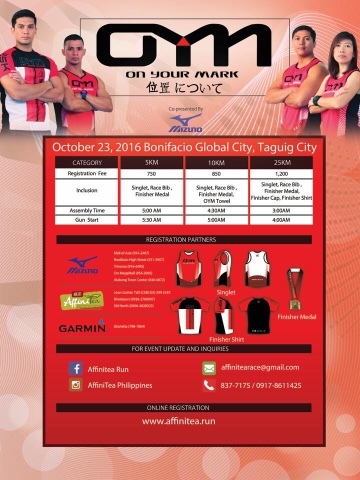 Let's paint the running ground red as this is the color theme of this race happening on October 23, 2016 at the Bonifacio Global City, Taguig. 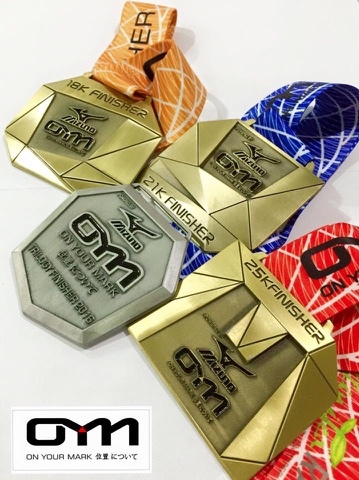 What excites the runners is that when they have completed the trilogy from Leg 1 last May to Leg 2 last August up to this Leg 3, they were entitled for the fourth medal! 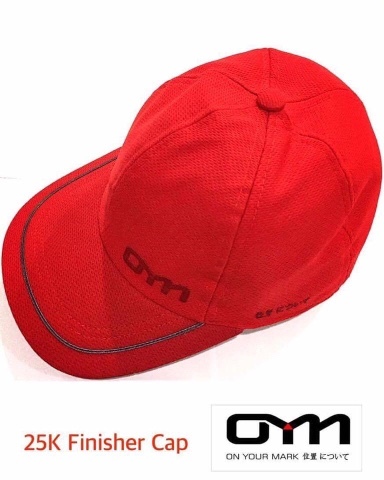 What more, the 25K finisher of this running event will get a red cap. Cool! 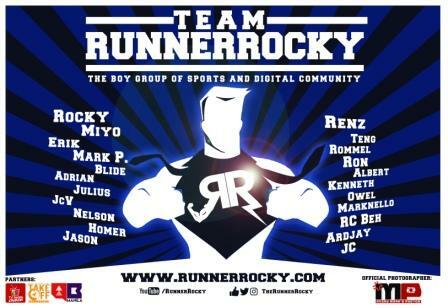 And of course, get a chance to run with your favorite celebrities as surprise stars are set to run in this race. 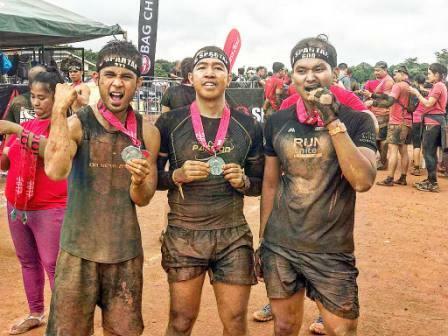 Rodjun Cruz, Jose Sarasola, and Marco Alcalaz were some of the hunk stars who ran in the recent Leg 2. Model-actor Luke Jickain already confirmed that he'll be running in this event! 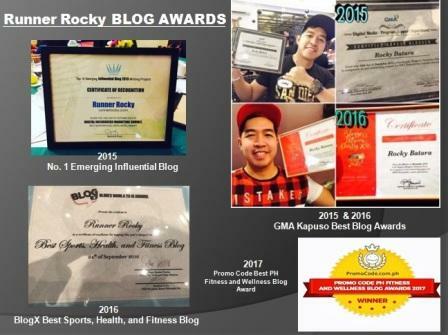 Registration is still on-going! 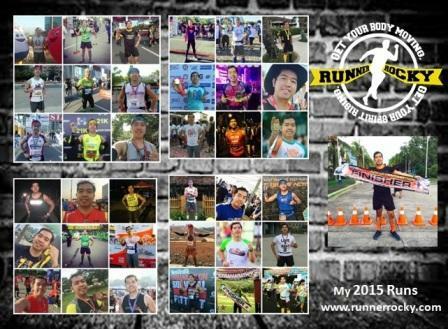 Register now on the nearest Mizuno branch or in your favorite AffiniTea store before supply last!